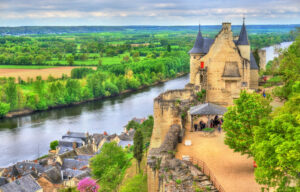 This year is especially a good year to visit the Loire Valley, with the 500th anniversary of the Renaissance. This era of art and culture was, and still is, the largest and most long-lasting influence on western culture throughout history. It taught us to see beauty in a special way. It shared a light that the world needed in the Dark Ages. Loire Valley remains a reflection of that light, as the châteaus and vineyards remain mostly unchanged since the cultural wake of the Renaissance period reached the far corners of the Earth. The Château du Clos Lucé is a notable example of a must-see location in the valley. This year, the Château du Clos Lucé will feature a display of works by Leonardo da Vinci, to celebrate the great artist and inventor’s death in 1519. The lucky travelers who make it will enjoy a digital presentation of da Vinci’s work on surfaces that create a unique, and almost 3D, effect of his art. Not only that, but a tapestry interpretation of The Last Supper will be present. This tapestry has not been seen outside of the Vatican Museums since the 16th century, marking this as a very special occasion. To add onto the already Renaissance feel of the Loire Valley, the Château du Rivau and Château Royal d’Amboise will be hosting Renaissance balls that encourage guests to dress in period costumes. The Château de Chenonceau will open up a restored version of Catherine de Medici’s apothecary, while the Regional Domain of Chaumont-sur-Loire will have a refurbished room of hers. Also, the Château du Rivau will have around 30 works of art that interpret da Vinci’s extensive catalogue. Even without the celebration of Leonardo da Vinci, one of the world’s most influential artists, the Loire valley is well-worth a visit. The enjoyment of France’s vineyard covered countrysides and gorgeous castles will be infused with an important era that was full of wonder and excitement in what beauty meant to the eye of the beholder. From Normandy to the Loire Valley, explore the storied history of these regions on this private deluxe France vacation package. Discover Caen’s fortifications, reminder of France’s 100 Years War and the French Revolution. Travel back in time to the landing beaches of the Allied Forces during the D-Day Normandy invasions. Visit the island and pilgrimage site of Mont St. Michel topped by a medieval monastery. Savor Normandy’s delectable culinary specialties and taste acclaimed wines of the Loire Valley. Stroll the picturesque cobblestone streets and view the charming timber framed or “pan-de-bois” homes of Le Mans and explore the grandeur of the Loire Valley’s splendid châteaux. 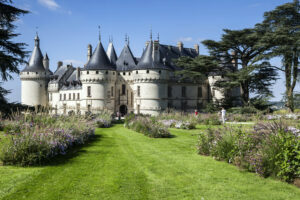 Travel to France for the culinary-focused experience of a lifetime in Paris and the Loire Valley. Your cooking class experience in Paris includes a visit of a local market and lunch. Further along on this gastronomic extravaganza trip to France, travel to the banks of the river Loire to the town of Langeais. 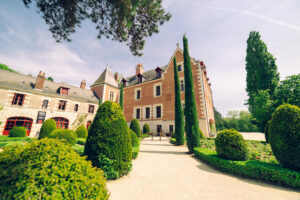 Here you will experience an authentically rich stay in the Château de Rochecotte, an 18th century château located in the famous Loire Valley, midway between Tours and Saumur. Once the private estate of Prince Talleyrand, the château is ideally located for visiting all the famous châteaux, abbeys, churches and museums as well as the area’s world-famous vineyards.